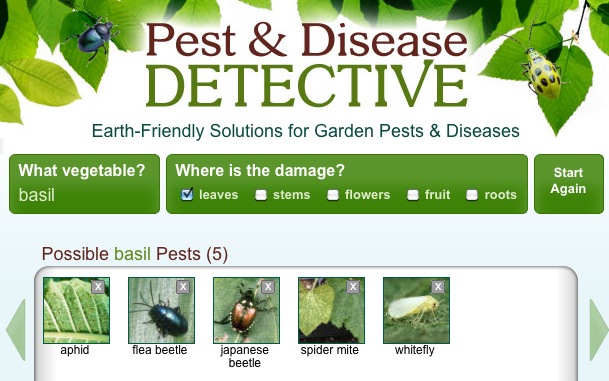 Web tool Garden Pest Detective helps you hunt down the possible culprits damaging vegetables in your garden. Pick the vegetable, select the kind of damage you're seeing, and the Pest Detective highlights what could be causing it, from plant pests to diseases. 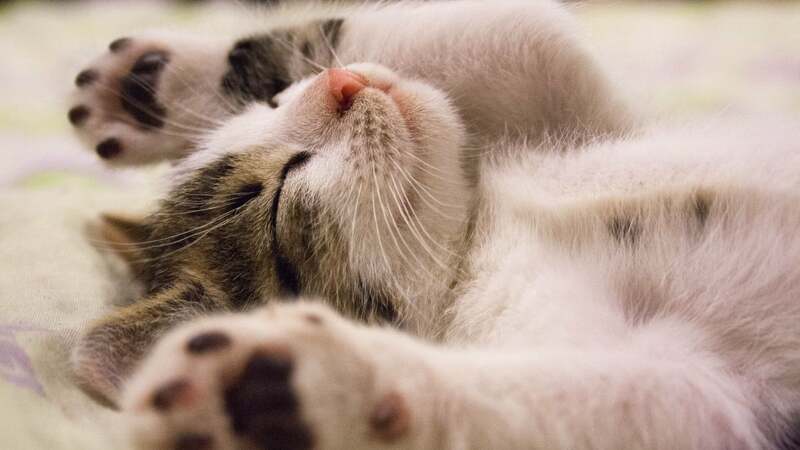 The handy part about the tool, apart from the obvious, is that it also provides images and descriptions to help you figure out if the possible pest or disease matches up to the problems you're having. Let's say, for example, I notice that the leaves of my basil are damaged. I select basil, tick the checkbox next to leaves, and see five possible pests and five possible diseases that might be to blame. When I hover over "aphid", I see a picture of what aphid damage looks like and a description of what aphids look like. Handy. Slight problem with this being an American site. We may not have any chance of seeing some of their top recommendations and they may not include some of our top pests such as possums. This might lead to applying treatments which help the pest or unnecessarily harm the plant, but I really like the idea, it just needs a localised form for every country/region.